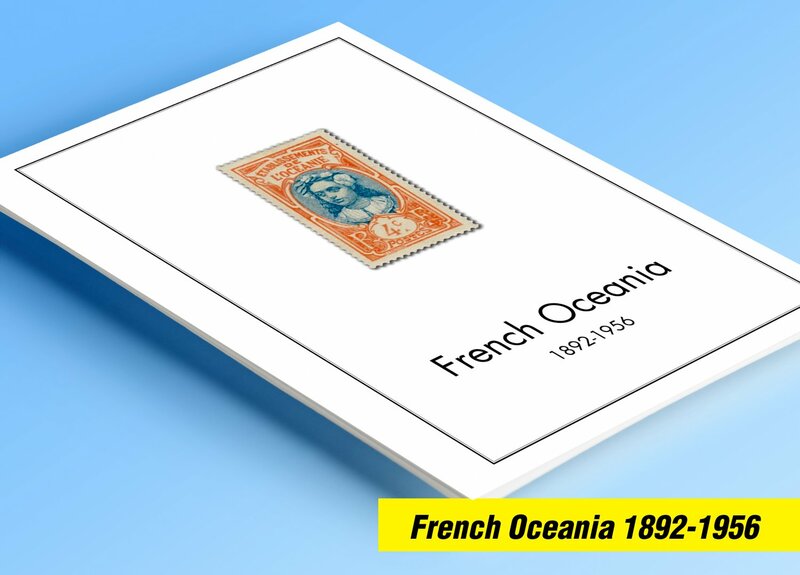 Full color printed pages for French Oceania 1892-1956. The stamps are ordered according to Scott catalogue (for copyright reasons, Scott numbering isn´t displayed in the pages). These are full-color printed pages. They are NOT hingeless. For protection of both the pages and the stamps/sheets, we recommend using stamp mounts instead of hinges. The pages are sent unpunched – this allows you to punch them as needed (for 2 or more ring binders). Black and white printing available on request. NO STAMPS INCLUDED.